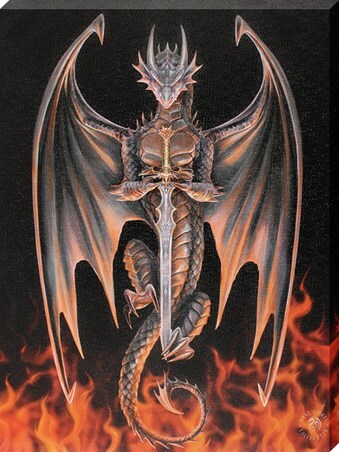 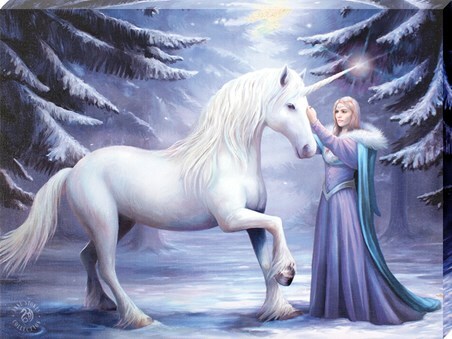 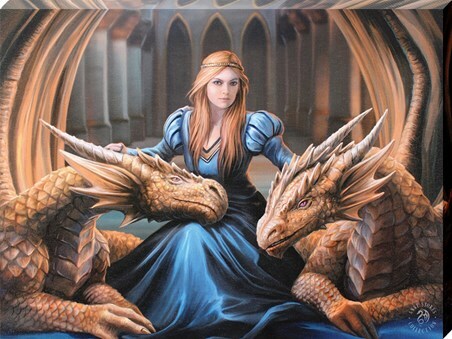 The master of magical artwork Anne Stokes whisks us away to a beautiful fantasy world with this canvas print. 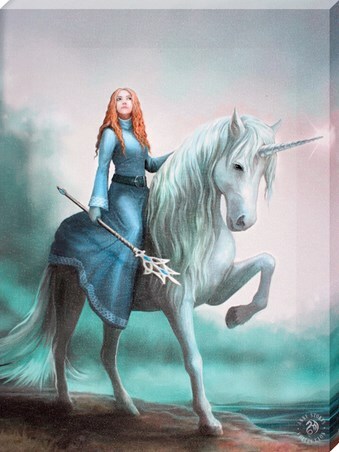 Featuring a stunning red-headed maiden riding a majestic white unicorn, staff in hand, against a dreamy waterscape, this art will be sure to transport you and your home to an alternate realm! 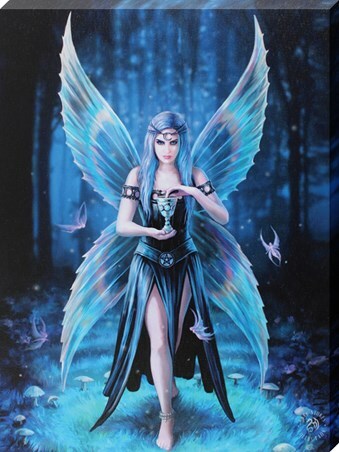 High quality, framed Journey Starts, Anne Stokes canvas print with a bespoke frame by our custom framing service.